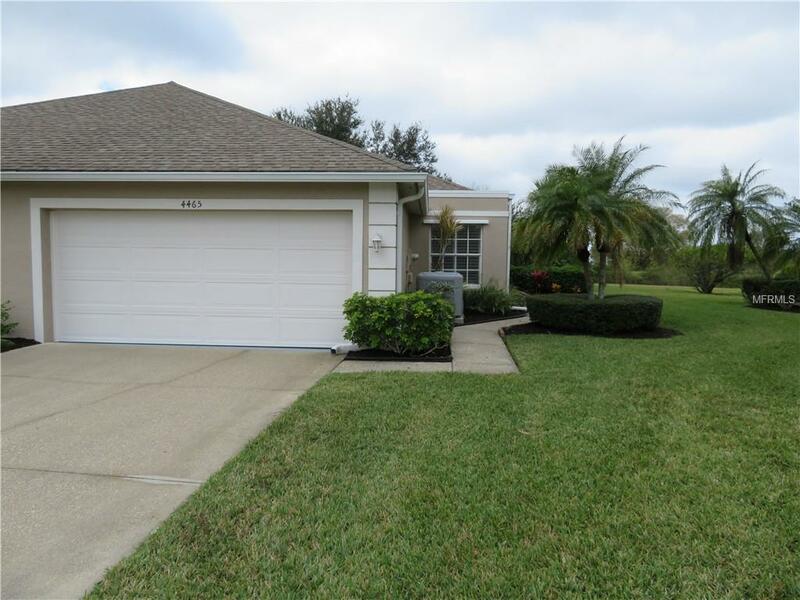 Desirable 2/3 bedroom, 2 bath villa with a bonus room which can be a third bedroom, office or den and a 2 car attached garage in the gated community of The Villas of Sabal Trace. The villa has a screened entrance way leading into the combined living room, kitchen and dinette that is tiled and has cathedral ceilings. An open and airy area with neutral colors, plant shelves and a wall of mirrors in the dinette area. The kitchen has stainless steel appliances, ample cabinets and counter space, tiled back splash, closet pantry and breakfast bar. The bonus room is being used as a den/office but has a closet and can be a third bedroom if necessary. The large master suite has a walk-in and single closets leading to the master bath. The master bath has a glass enclosed walk-in shower and dual sink vanity. The split floor plan allows for privacy for the second bedroom and bath. The living room and master bedroom open onto the screened lanai and extended screened patio. Both great for relaxing and enjoying the FL weather. 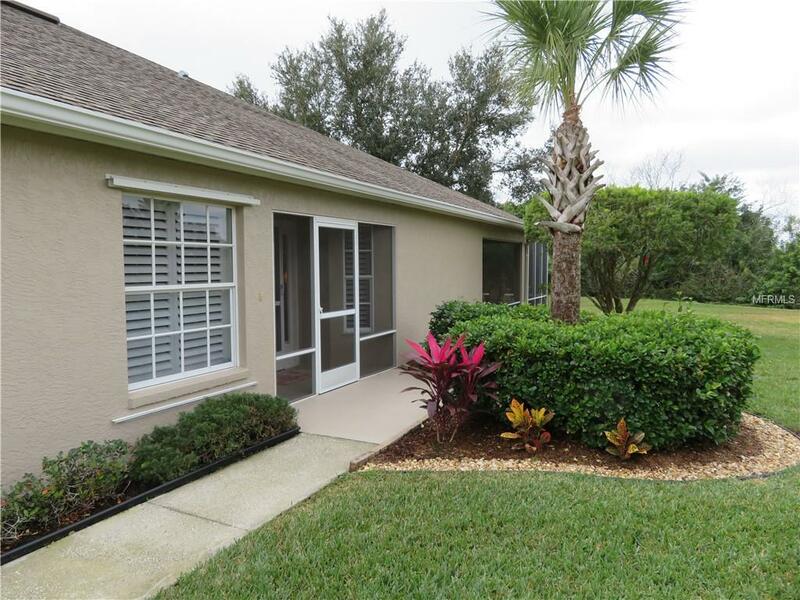 The villa has plantation shutters throughout, a newer a/c system and hot water heater, hurricane shutters and beautiful landscaping. The villa is on one of the largest lots in the community with a proposed lake behind the property. 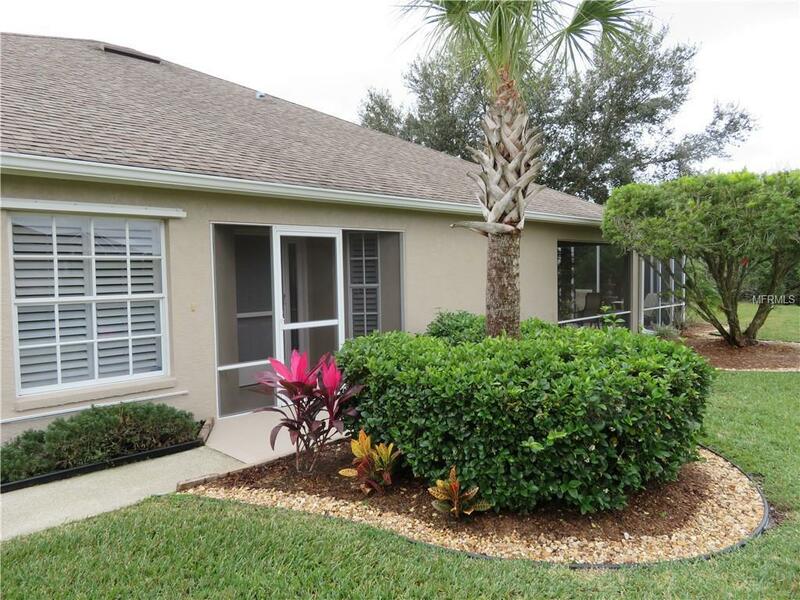 The gated community has a clubhouse with fitness room, meeting areas, kitchen, heated pool with spacious sun decking. 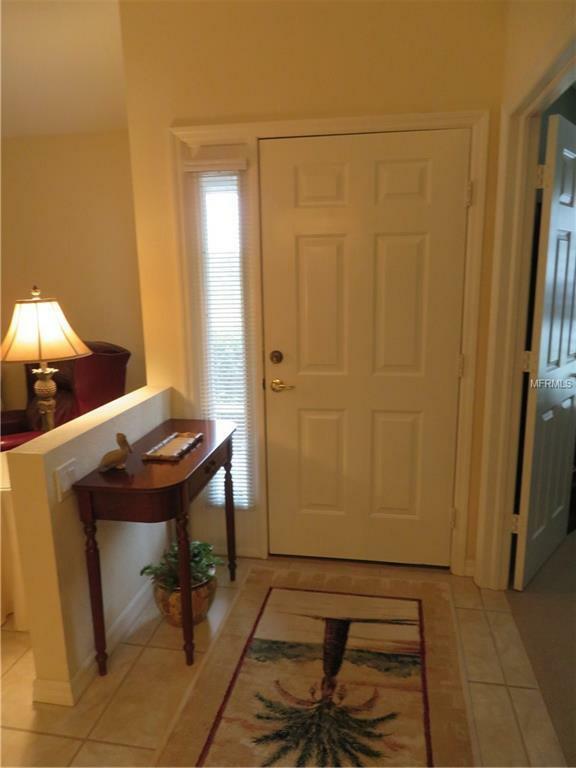 All of this close to shopping, restaurants, golf courses, fishing, local beaches and area attractions. Pet Restrictions Maximum 2 Pets.